Christmas Movies Not to Miss! 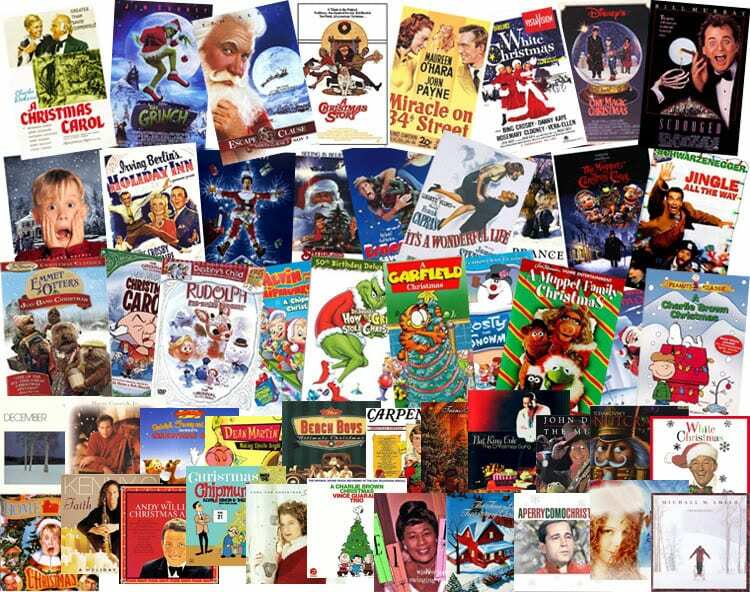 Most people have their favorite Christmas movies, which may or may not be the same as their KIDS’ favorites! Our family watches Christmas movies after putting up our tree the first weekend in December and then again closer to Christmas Day. My personal favorite growing up was “Frosty the Snowman“, followed closely by “Rudolph the Red-Nosed Reindeer“. Our preschooler adores the “Grinch” and watched it 10 times last year. My husband loves “A Christmas Story“. The funny thing about Christmas movies in our family is our division. While we each love watching our own favorite, none of us enjoys the other two. And we all dislike the newer version of “Miracle on 34th Street“, probably one of the most loved Christmas movie of all time. I prefer the 1940’s version. Oh and don’t forget “A Charlie Brown Christmas“! This is another favorite in our family. What about all of the others? The 1946 “It’s a Wonderful Life” was a staple when I was younger, although it had been out 30 years when I was born! It has been out now for 70 years and continues to show every Christmas. As a teen,”Home Alone” (both of them) and “National Lampoon’s Christmas Vacation” were popular. I also remember watching a very strange movie around Christmastime called “Scrooged“. Bill Murray was the main character and a strange one at that, but it was a fun movie. Some of the newer movies that came out after my childhood include “The Nightmare Before Christmas“, “Elf“, “Bad Santa“, and “Polar Express“. I did not have children in my 20’s and early 30’s so I admit to not having watched any of these until recently! The “Polar Express” was wonderful and much loved by our 3 year old last year. At the point when your child loves monsters and scary creatures, it is time for “The Nightmare Before Christmas“…he or she will love it! Whatever your favorite ones, don’t forget to save some down time to enjoy movies this Christmas with your family. A little hot chocolate, popcorn, and a Santa hat make the experience that much more fun for the kids too! What are your family’s favorite Christmas movies to watch?